Dreams about spiders are a fairly common theme at bedtime. If you or a loved one has been covering this ground at night, you might have questions about what it all means. As part of a Huffington Post series on dreams and their meanings, we spoke to Cynthia Richmond, author of "Dream Power," and frequent guest on shows like "Oprah" and "Dr. Phil", in Camp Verde, Ariz., to get expert advice about the meanings of dreams about spiders. Note: While dream analysis is highly subjective, this post might provide some insight into why this dream occured or is recurring. What do dreams about spiders mean? "Spiders weave a web -- a beautiful, intricate trap to catch it's prey," says Richmond. "As such, spiders are associated with manipulation. Depending on the rest of the dream, the spider may indicate that the dreamer is being manipulated or that the dreamer is the manipulator." What can I learn about myself from dreaming about spiders? Richmond suggests asking yourself if you're being manipulated. If the answer is yes, determine what you can do to protect yourself. If you think you're manipulating someone for your own good, ask yourself how you can withdraw from that type of behavior. Are there any tricks to avoiding or inducing dreams about spiders? The key in avoiding a dream about spiders is to fix what the problem is outside of your dreams. "The dreamer should ask themselves, 'Where in my life am I being manipulated or manipulating others?' and resolve that," says Richmond. If you want to induce dreams about spiders, Richmond suggests looking at photos of spiders before bedtime and to think about them as you drift to sleep. Beyond analysis, what cultural symbolism can be found in dreams about spiders? Cultures that value the spider may find that dreaming about them represents something aside from manipulation. For example, in a culture where farming is a means of life, spiders can stand for prosperity since they eat pests and represent good growing conditions. On the other hand, in situations where a person is afraid of spiders, such dreams may not be as welcome. "In that case, the dreamer must take charge to come to terms with their fear," says Richmond. "I suggest a good therapist and hypnosis." Who tends to have dreams about spiders most frequently? Spider dreams are common in both males and females of all ages. Does dreaming about a poisonous spider in particular have special meaning? Anything poisonous in a dream indicates a treacherous or deadly force, explains Richmond. "The spider could indicate that the dreamer is using drugs or alcohol in excess or that a relationship, career or person has turned bad," she says. Perhaps it's a relationship, a new venture or anything else that's physically, emotionally, financially or even mentally dangerous to you. 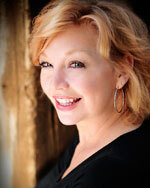 Cynthia Richmond is a board certified behavioral therapist, educator, speaker and author of "Dream Power." She writes a regular column titled, "In Your Dreams" for the Los Angeles Times and has appeared as a dream expert on "Oprah," "Entertainment Tonight," "The View," "Donny and Marie," and "Dr. Phil." In addition, Richmond provides live dream interpretations on InfiniteQuest.com.